In this episode, Matt and Kenny talk about Broken Age. 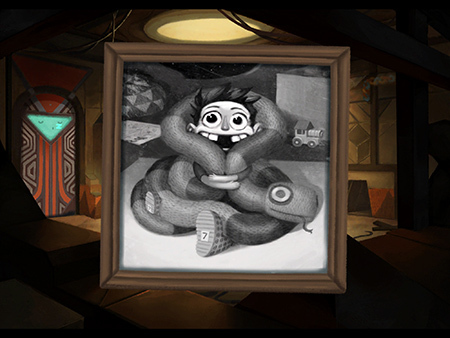 Broken Age is a game about growing up, and the incredible disappointment and frustration of the second half of your life. 01:16 You combined Kenny with a stack of papers but nothing happened. 05:00 Try combining Kenny with a stack of papers again. 05:43 Have you tried combining Kenny with a stack of papers? 06:20 You combined the Harmonix CEO with a burnt out guy and received Alex. 07:03 You prompt Kenny to do his best Marek impression. It was really good. 10:34 You ask the Internet who the lead artist was. The Internet replies with Nathan Stapley. 11:19 Gus gets a tree wedgie. 17:43 You combine Shellmound maidens with an amazing villain name to create a beautiful Mog Chothra ballad! 18:41 You combined Matthew with a dictionary and received the word tenacious. 21:18 You combine Shay with this baby photo to solve one of the dumbest puzzles ever. 25:36 You listened to Matthew and Kenny review a disappointing game and were rewarded with a scene from The Big Lebowski.